Ho! Ho! Ho! Merry Christmas everyone! It`s a delightful time for all ages. Time for family reconciliations and reunions, for cherishing your friends and loved ones, time for making new great memories. May the Christmas season fill your home with joy, your heart with love and your life with laughter. And may the coming year be filled with happiness and faith. We are sincerely delighted to have you as our customers. We will be happy to help you reach your educational goals, so come back in 2017 to get more tutoring help at TutorZ. 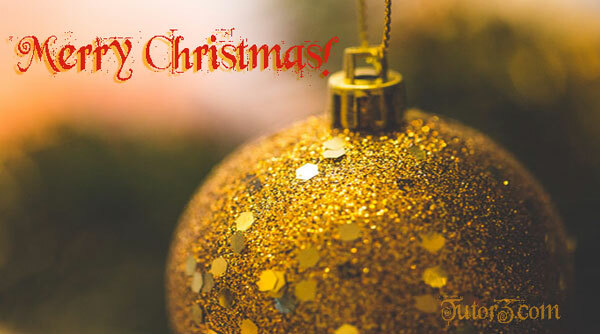 Merry Christmas and Happy New Year from the team at TutorZ.com! This entry was posted in About Us, Seasonal Events and tagged Merry Christmas, new year, tutorz. Christmas is the time to sparkle!)) Love, Peace and Joy to everyone!